1. 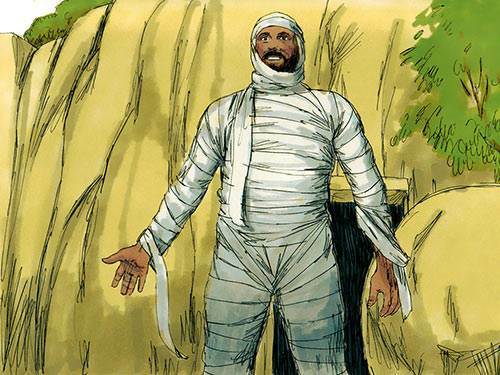 Did Lazarus’ serious illness mean that Jesus didn’t love him? 2. What reason did Jesus give for allowing Lazarus to fall ill? a) He had not repented of his sins. 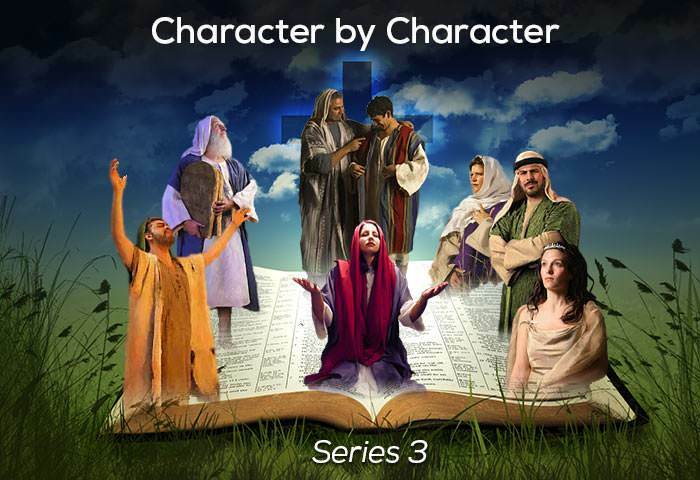 b) This would give an opportunity to demonstrate Christ’s power to raise the dead. 4. What potential danger awaited Jesus and His disciples if they went near Jerusalem? a) They might be overwhelmed with the crowds of seekers. b) They might be killed. 5. Did Martha show faith by what she said when she met Jesus on His arrival in Bethany? 6. Why did Martha protest when Jesus commanded that the stone be removed from the entrance to the tomb? a) This would expose the body of Lazarus to wild animals. b) Lazarus’ body would now be decaying, and smelling badly. 7. The fact that a large number of witnesses saw the resurrection of Lazarus enhanced the importance of this miracle. 8. Some of the witnesses chose to believe in Jesus, but what did some of the other witnesses do? a) They spread rumours that the resurrection had been faked. b) They reported the incident to the Pharisees in Jerusalem. 9. Why did many people go to Bethany after this miracle? a) They wanted to meet Lazarus. b) They wanted to interview Martha and Mary. 10. The ministry of Lazarus could be said to be a ministry of silence.